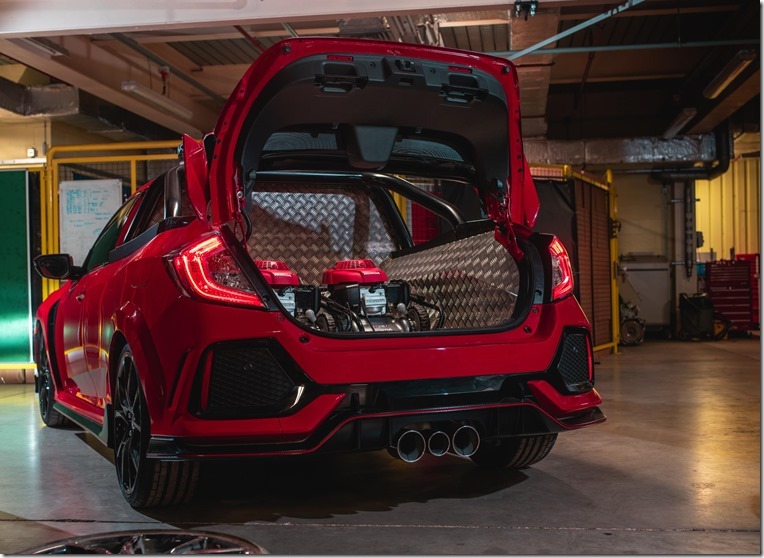 No, you aren’t dreaming ... lay your eyes upon the creation of Honda’s Synchro Motorsport department at Swindon – a Civic Type R pick-up truck. 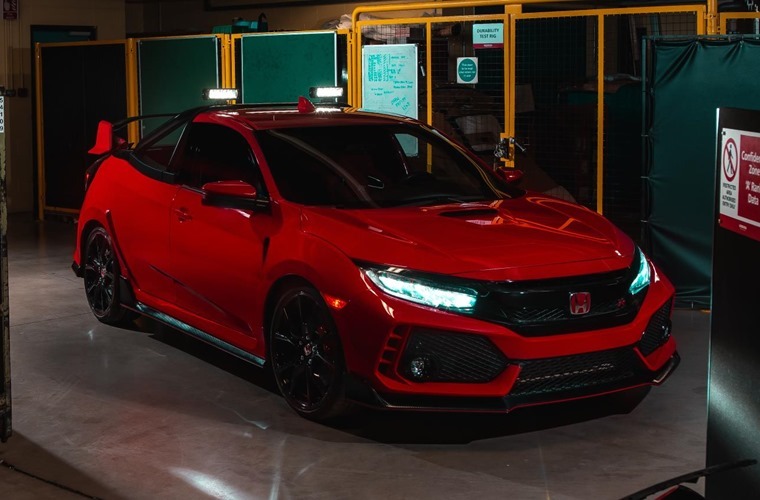 Codenamed ‘Project P’ the pick-up was screwed together Honda’s Product Engineering department using a pre-production version of the Type R.
Despite its useful flat-bed load area, it retains the same powertrain, suspension and gearbox as the standard road car. That means it’ll sprint from 0-62mph in six seconds and go on to over 165mph – surely making this one of the most potent pick-ups on the UK’s roads. 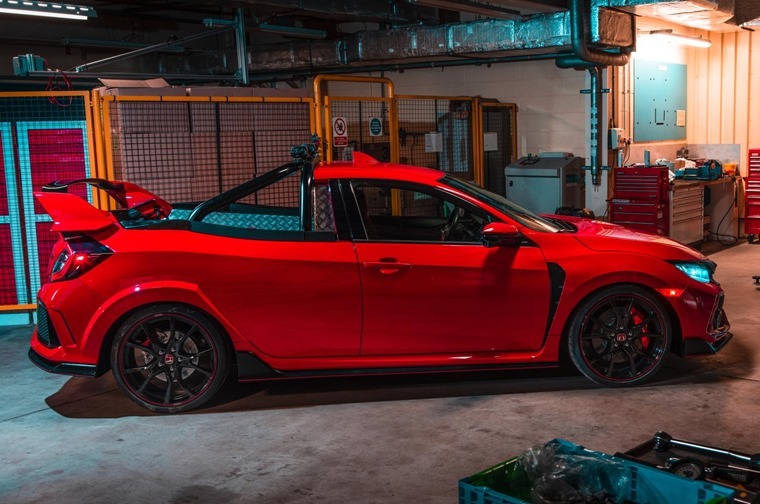 Phil Webb, head of car at Honda UK, added: “This Civic Type R Pickup Truck concept by the special team at our Swindon-based plant demonstrates the passion and commitment of the team there – going above and beyond outside working hours to deliver the final product. So, while you can’t lease of these superfast utility vehicles, you can bag yourself a four-door Civic Type R for less than £400 per month. Alternatively, read what we thought when we got behind the wheel of Honda’s GTI-beater.